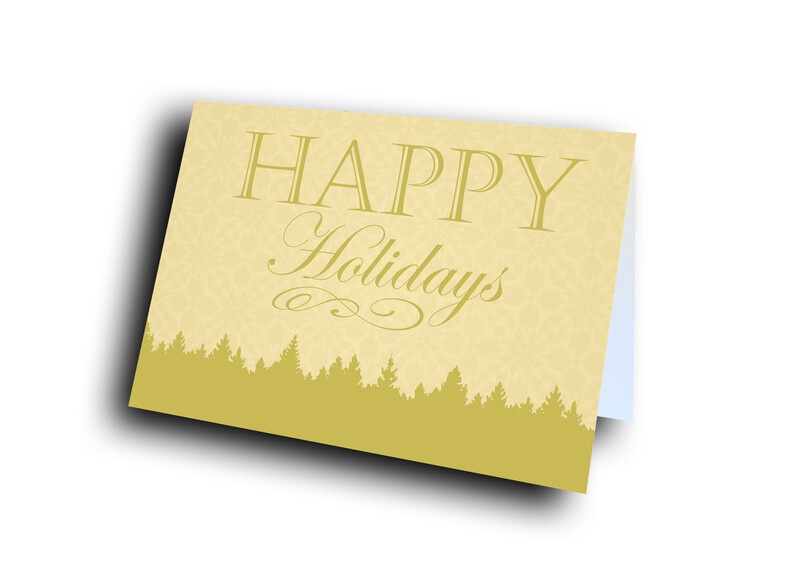 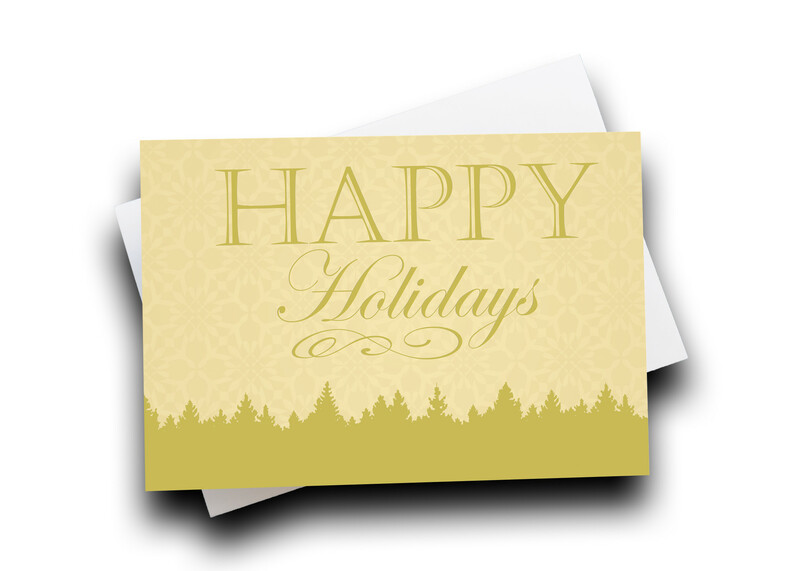 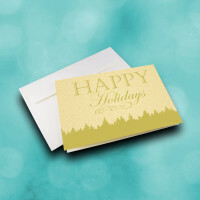 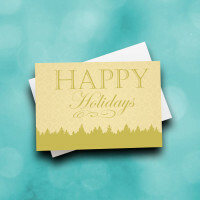 This classic, rustic "Happy Holidays" card embodies the tranquil spirit of nature. 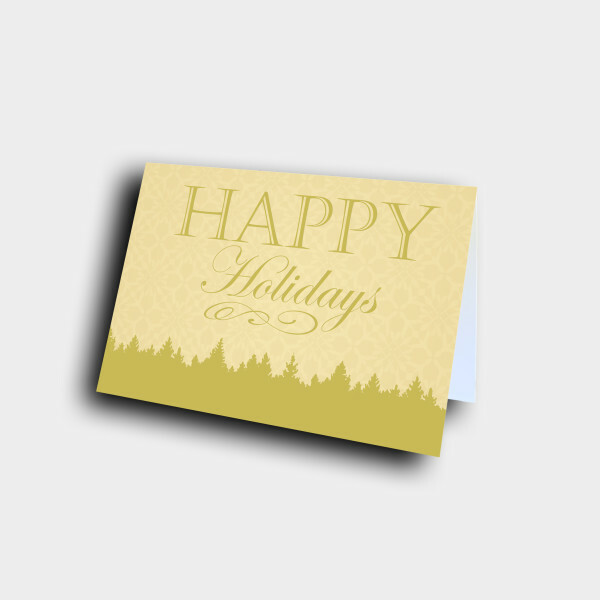 Send a classic, simple card this holiday season to show those around you that you care. 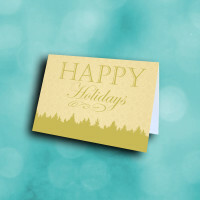 This holiday card features its message of "Happy Holidays" front and center, beautifully penned above a detailed, silhouetted forest tree line. 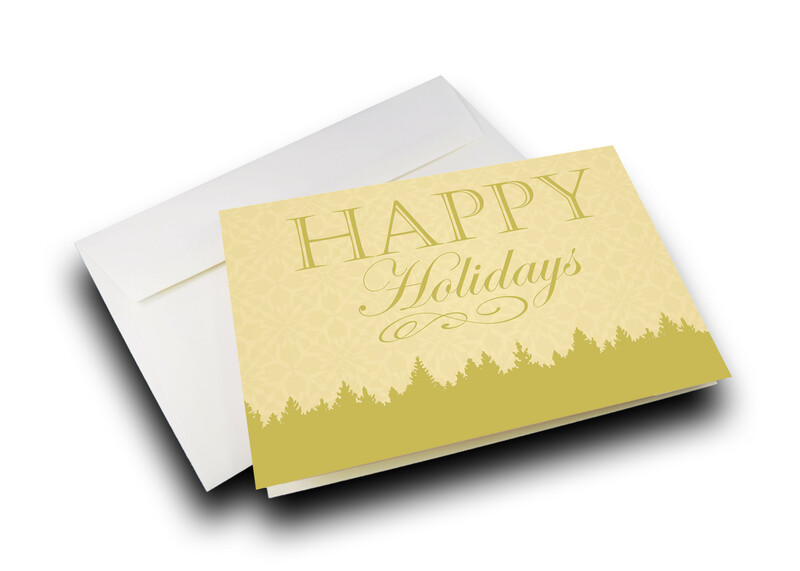 The elegently patterned, tan background lends sophistication to the card, and the message inside can be personalized to make the card unique and meaningful.